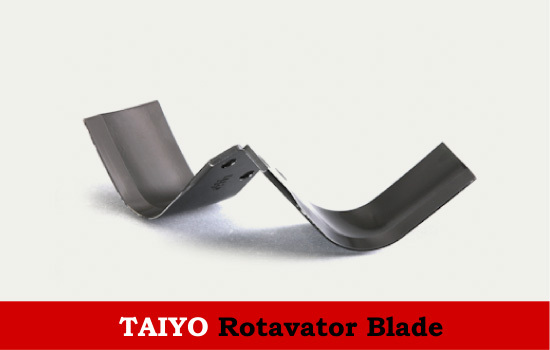 Taiyo India’s parent company, Taiyo Co., Ltd., is Japan’s leading manufacturer of rotavator blades, holding more than 40% share of the domestic market. Taiyo has maintained extensive R&D programs through the years, and currently supplies more than 2,000 products to its market, most of them are blades for tilling equipment. The company was established in 1920 in Japan’s Kochi Prefecture. The founder named the company Taiyo, which means Sun in Japanese, to reflect his strong aspirations for the future success of the company. Taiyo fulfilled those aspirations in 1953, when the company made a dramatic breakthrough with the launch of Nata tsume, the world’s first twisted blades for tractors. This unique invention established the base for Taiyo’s development into the leading company in its field. In 2013, exactly 60 years since its dramatic success in 1953, Taiyo made the decision to establish Taiyo India PVT. LTD. 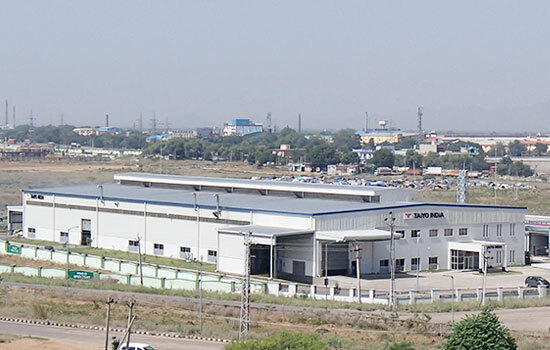 The plant was built in Neemrana, Rajasthan and operation began in September 2014. The agriculture industry in India has one of the greatest growth potentials in the world. Increasing the currently low productivity of the industry would lead to rapid development and would contribute substantially to improving the quality of life in India. For that reason, we have made it our mission to achieve that goal based on the leadership and passion our company has demonstrated since its founding. Taiyo India has only one production line for now, limiting the range of blades it can supply in India. However, the construction of new line to produce another range of blade is scheduled for 2016. Going forward, we plan to continue to expand our product lineup. Copyright(C) TAIYO INDIA PVT. LTD. All Rights Reserved.